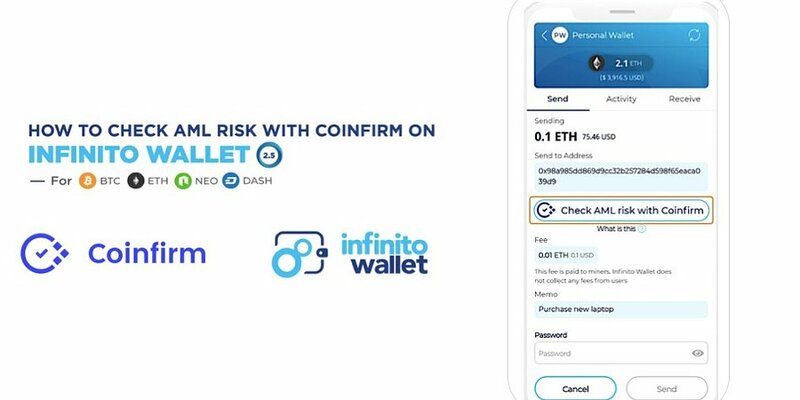 The latest version update 2.5, from Infinito Wallet features Coinfirm's AML risk check service. 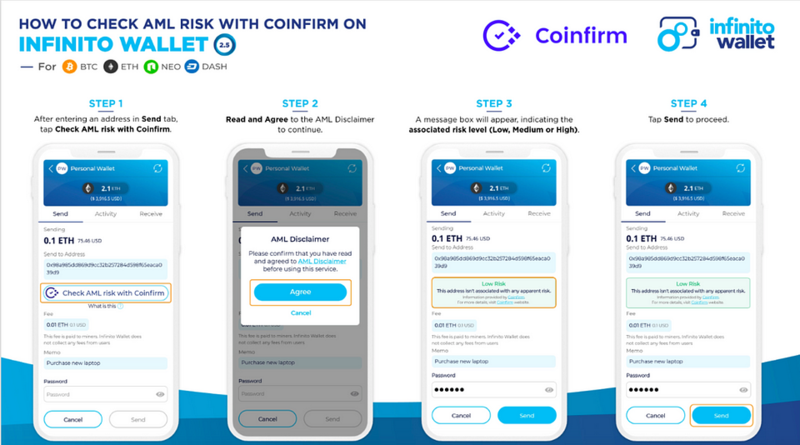 You can quickly risk check a BTC, ETH, DASH and NEO blockchain address and decide before sending crypto to them. Low Risk: Blockchain address is not associated with any apparent risk. Medium Risk: Blockchain address is involved in transactions with newly created address. High Risk: Blockchain address is highly related to potential scams, investment fraud, identity theft or other risk. If an address is flagged as “High Risk”, you will see a pop-up message asking you to choose Yes – to proceed anyway or Cancel. Thanks for your continued support and make sure to follow us on Twitter, Facebook and LinkedIn.